Based in Waterford, I’ve Got the Goodies Party Hire live up to their name. They’ve a huge array of sweet treats you can avail of for your Big Day from traditional and vintage candy carts to a quirky horse and carriage candy cart or for those after a retro touch, a seriously cute campervan filled with sweeties. They also have Ferris Wheels, Ferrero Rocher pyramids and stands and popcorn or candyfloss stands, crisp sambo kits, an ice cream machine and donut walls! 4 All Your Occasions are based in Galway but travel nationwide! They cover everything you need to enhance your wedding day from 4ft Led and flower Love signs to sweet treats like Candy carts/buffet tables, large Mr & Mrs Ferrero Rocher heart stands, popcorn bars, donut bars/walls, cupcake stands, Tayto sandwich packs as well as wedding signs, personalised bridal hangers, wedding car reg plates and lots more. 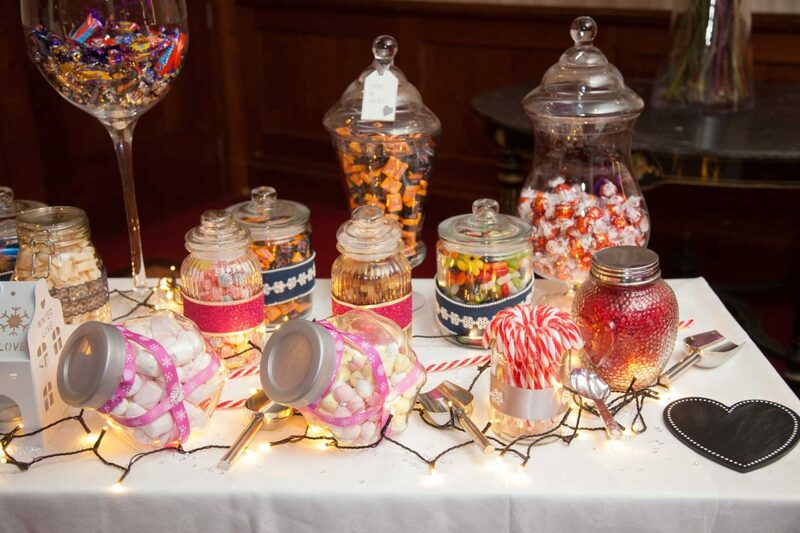 Bling & Bloom Event Decor offer a wedding decor styling service for wedding ceremony and reception decor including bespoke candy buffets and carts. They work with you to ensure it matches your theme! As well as yummy sweet treats, they also specialise in bespoke cake tables, desserts and Ferrero Rocher Pyramids. 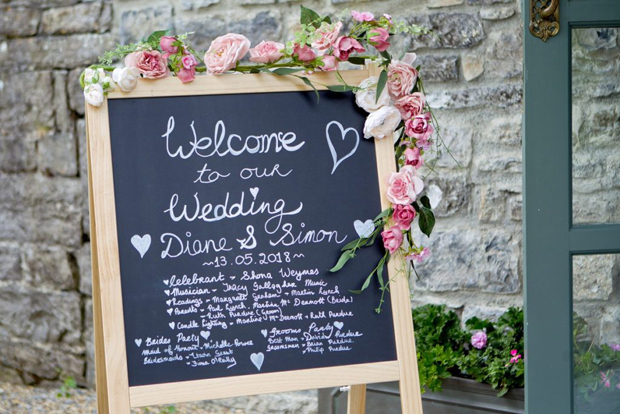 They’ve also an array of fab props and decor you can hire from flower walls to wishing wells! 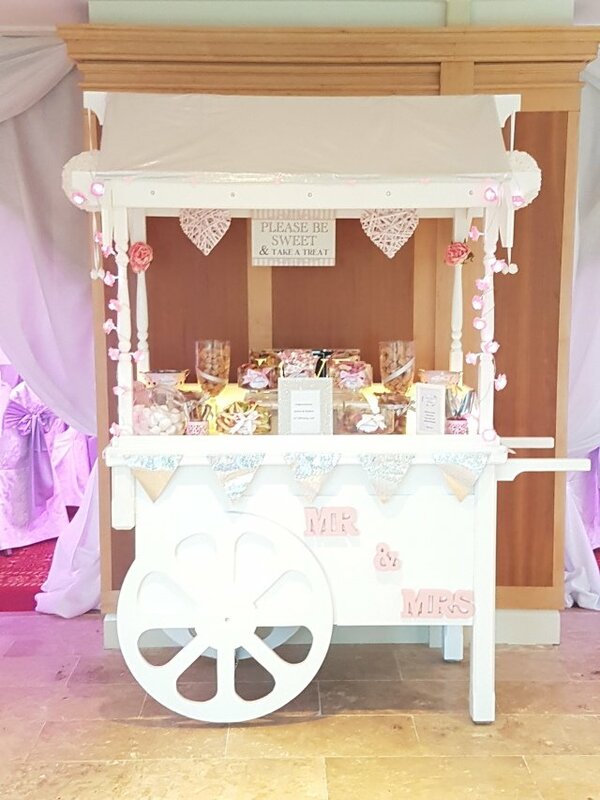 Tara’s Sweet Treats specialise in all manner of goodies from candy buffets and candyfloss stations to Krispy Kreme donut walls, popcorn bars, personalised cupcakes, personalised Tayto packs and Ferrero Rocher towers. A lot of their products are personalised for that extra special touch such as their Ferrero Rocher tower and their Mr&Mrs donut bags! They also have Prosecco wall, Gin & Tonic wall, wedding postboxes and flower wall if you’re after some decor. Magic Moment specialise in luxury wedding ceremony and party decor and travel throughout Ireland! 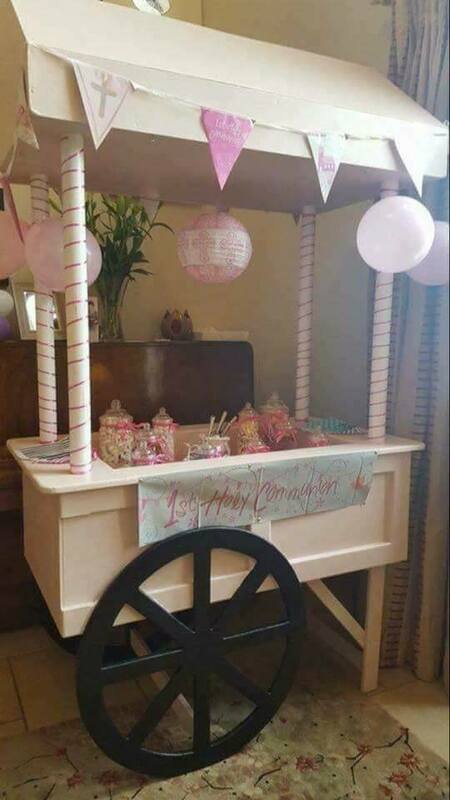 You’ll find all sorts of fab decor to hire including wedding arches, flower walls, sequin backdrops, Letter Lights, welcome signs as well as vibrant candy carts. They’ve over seven years experience in the business and pride themselves on their stylish displays. They customise every display to your event and pay particular attention to the finer details. 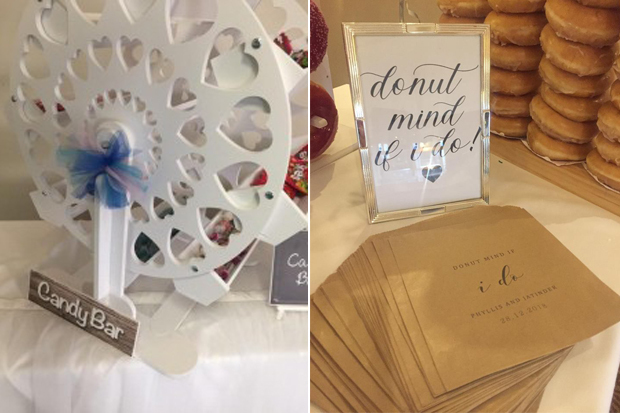 Pretty Little Ideas are all about the personal touches with unique, personalised gifts and accessories including boxed frames for all the bridal party, bride and bridal gift boxes, daddy here comes mammy hanging wooden hearts, free standing wooden letters, bridesmaids cards and more. They also rent out a pretty sweet cart, decorated with hanging hearts, sweet jars, scoops and sweet bags. And they can supply Tayto packs too! 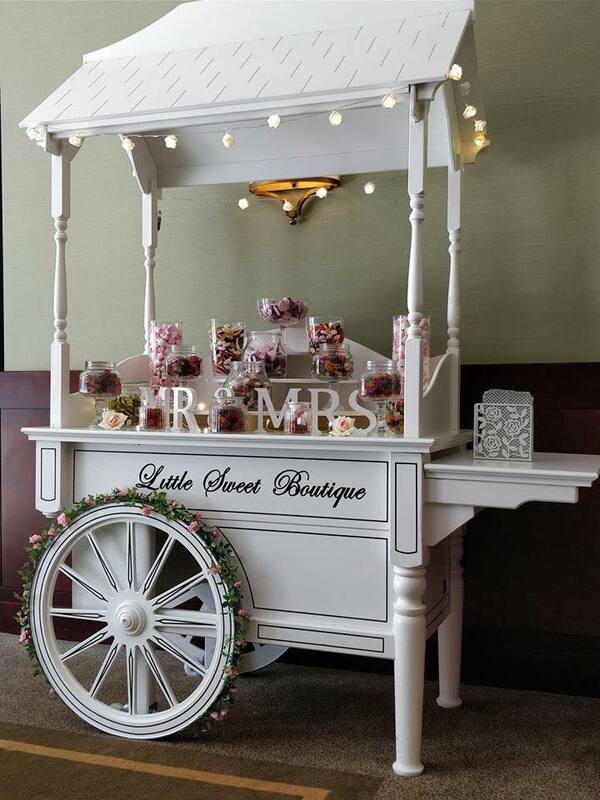 Carolyn’s Sweets travel nationwide and supply an impressive range of sweet displays and entertainment for weddings including candy carts, candy table buffets and candy ferris wheels. If you’re partial to chocolate, you can get your hands on single, double or triple Chocolate Fountains too (they have Champagne Drinks Fountains as well). 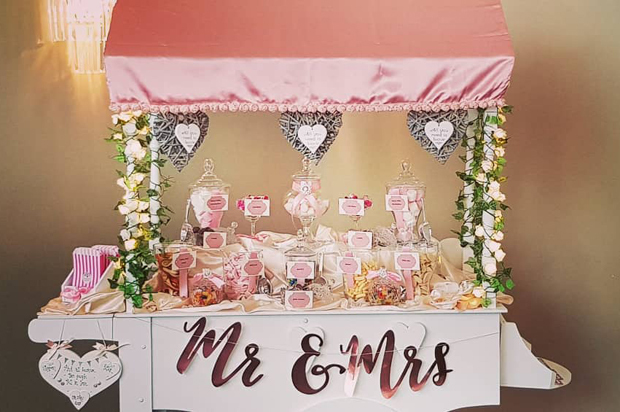 They also have other edible treats like popcorn, candy floss and slush machines, Tayto and King packs and donut walls as well photo booths, selfie mirrors and sparkle dance floors. Ardara Sweet Co is Ireland’s largest online supplier of quality confectionery. 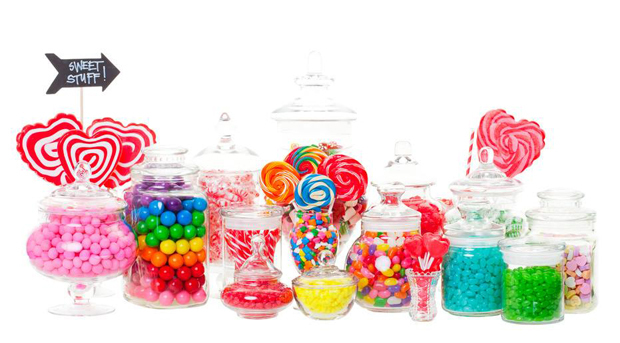 Their Wedding Section has everything you’ll you need for a candy buffet table including sweet jars, candy bags, candy buffet scoops, favour boxes/bags and of course sweets. 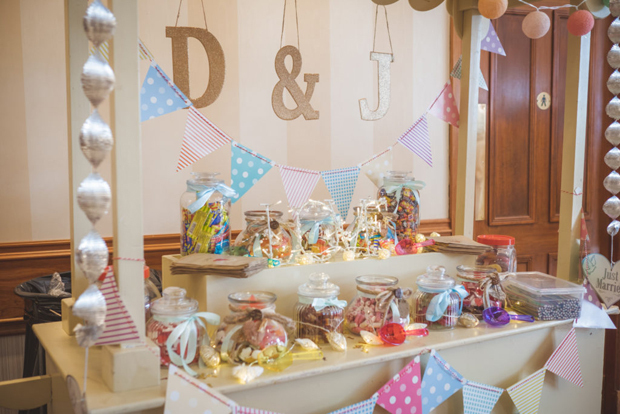 They have a huge selection of retro sweets, jellies, toffees, bonbons and stock the likes of Haribo, Cadbury and Nestle as well as sugar coated almonds, delicious Belgian chocolate foiled hearts and chocolate dragrées. They can customise certain sweet products to suit your occasion and have packages for those after a stress free option.